The Occupational Safety and Health Administration (OSHA) does not require every business to keep illness and injury records. Certain low-risk industries are exempt. But covered employers are required by OSHA to document any “recordable” injury or illness. 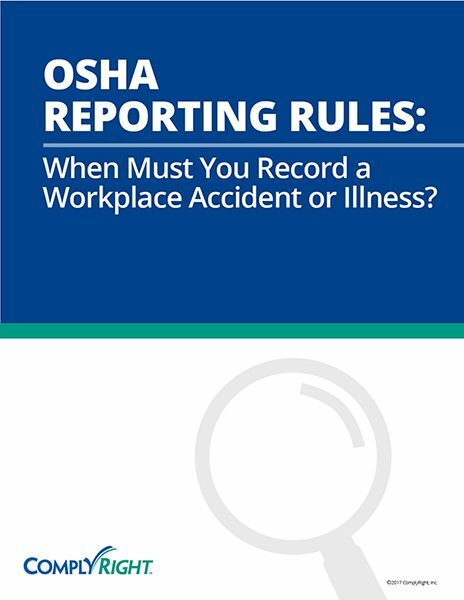 This tip sheet will define what is considered a recordable injury or illness under OSHA reporting rules and provide further insight into whether an event must be recorded.